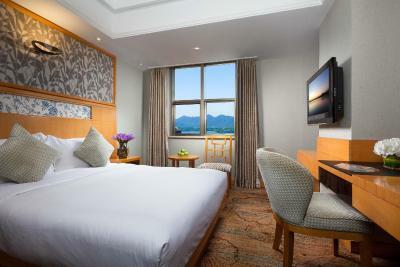 Lock in a great price for Huachen International Hotel – rated 8.2 by recent guests! Location was perfect and the hotel staff was amazing! 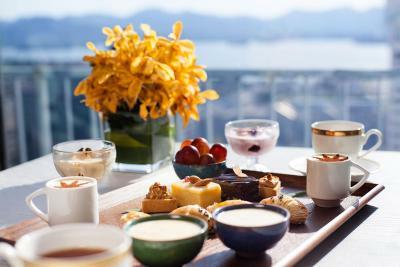 The breakfast are really good， with the view of west lake are perfect and the staffs at the restaurant are nice. The location was excellent. 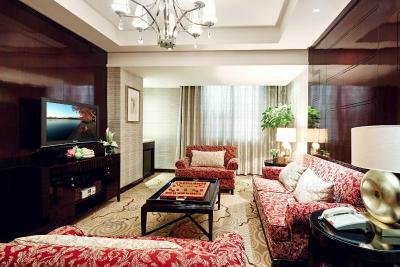 Just a few minutes walk from the West Lake and the mall. The staff was friendly and tried to help us get to the Longwu tea village. Big breakfast buffet, but the choice of Western food was quite limited. 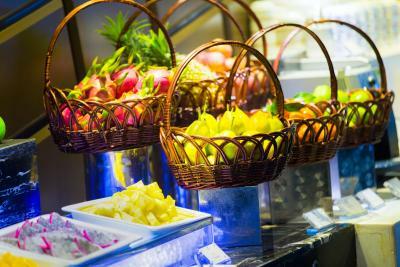 The buffet was great with a large variety off both Western and Chinese dishes and array of drink choices including fresh juice. I don't eat animal products and I was able to put together a nice spread so this is a nice option for vegans. 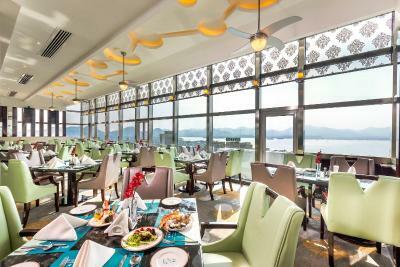 There is a nice view of the West lake from the dining area. There was a large very clean shower with excellent water pressure and nice hot temperature. Beds were comfortable and clean and the rooms were not too small. Nicely decorated. Really great experience. Staff was polite and understood some English. I would have loved to stay here longer. Really friendly staff. They gave 110% at trying to help me with the air conditioning. They offered to change the room and they brought me a fruit basket. Amazing location just 10 minutes from lake and on major street with lots of food options. Subway is also only 5 minutes by foot away - best way to get to the Hangzhoudong Train station. 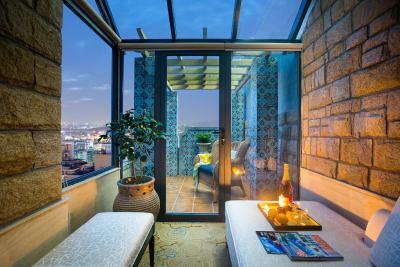 The location is great walkable to the West Lake and metro, restaurants and other amenities. 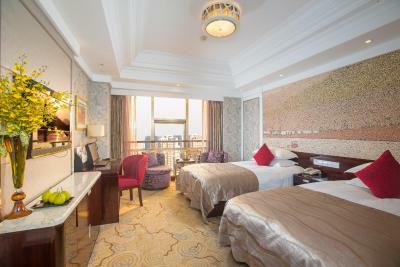 The location is very good, 5 min walk to the west lake, and many restaurants and shopping mall nearby. The staffs were friendly. 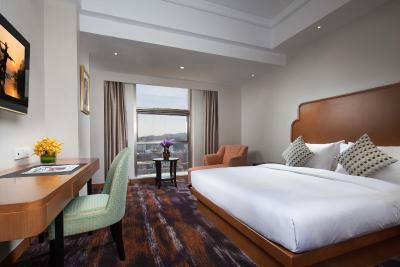 The room is clean and spacious. 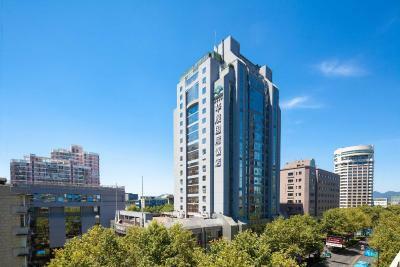 Good location near shopping mall, restaurants, convenience store, walking distance to west lake and the airport bus stop just in front the hotel. The room was spacious, with very comfortable beds and great hot water pressure in the shower. There was also free drinking water and tasteful decoration in the room. 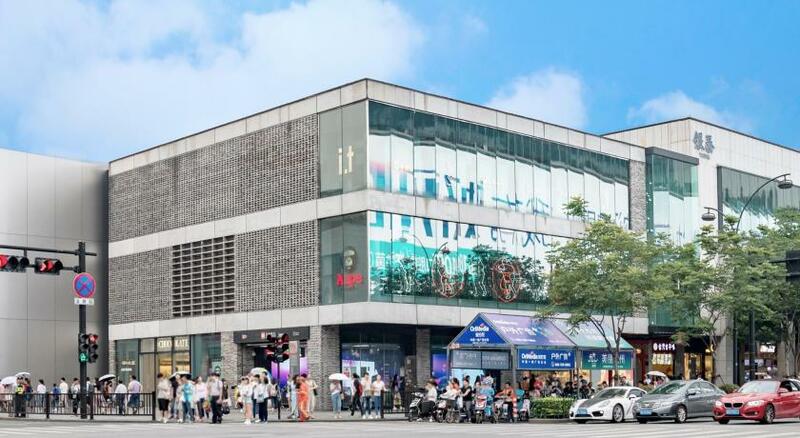 The location is great-- a short walk from West Lake, an upscale shopping area, many restaurants and a subway stop. 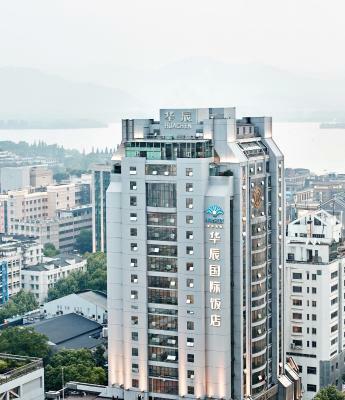 One of our top picks in Hangzhou.Huachen International Hotel is a stylish hotel located around a 10-minute walk from the West Lake. 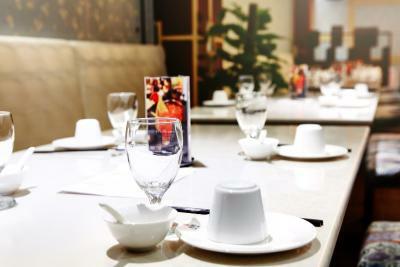 It offers modern accommodations with 2 restaurants, free parking and free internet in rooms. 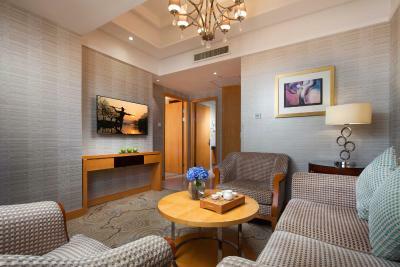 Guestrooms at Huachen offer plenty of natural light and are fitted with a kettle and a TV with cable channels. 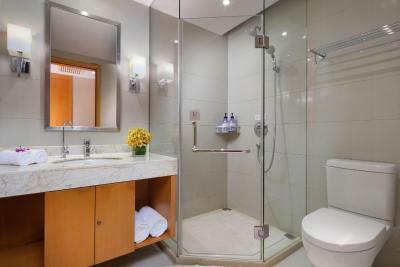 The private bathroom comes with free toiletries and a hairdryer. 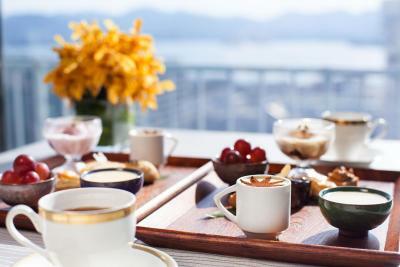 Located on the hotel’s 19th floor, the Four Seasons Western-Style Food & Coffee House overlooks West Lake and serves an all-day buffet. 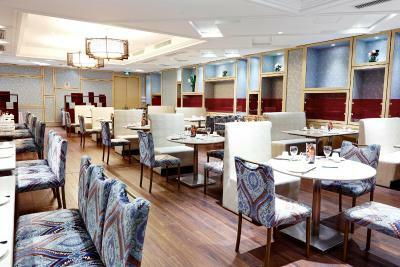 Local dishes can be enjoyed at the Tang Palace Chinese Restaurant. 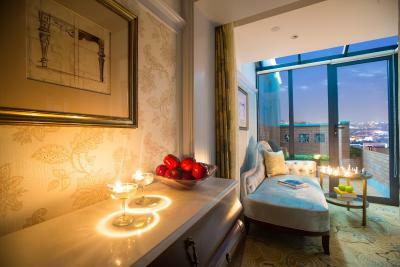 The hotel’s tour desk can assist with car hire and travel arrangements. Currency exchange and safety deposit services are also available. 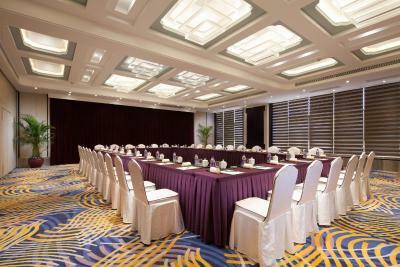 The hotel also features business center and meeting facilities. 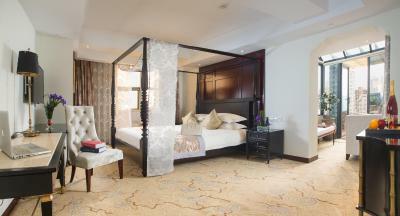 Hotel Huachen International is around a 5-minute walk from Yan'an Road. It is about a 40-minute drive from Hangzhou Xiaoshan International Airport. 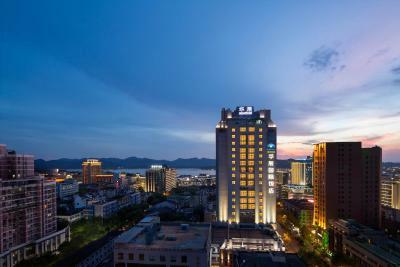 Hangzhou Railway Station is around 10 minutes' drive from the hotel. 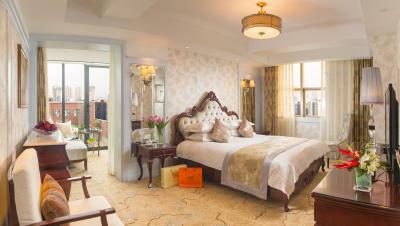 When would you like to stay at Huachen International Hotel? 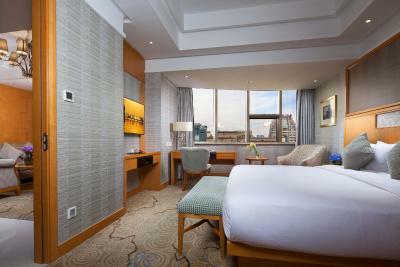 Spacious room features a flat-screen TV, a mini-bar and free toiletries. 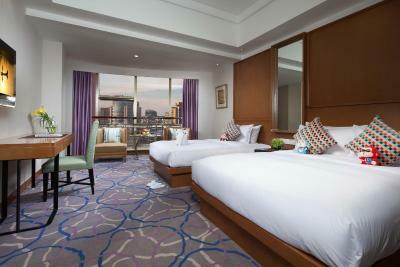 Offering city views, the room comes with ironing facilities. 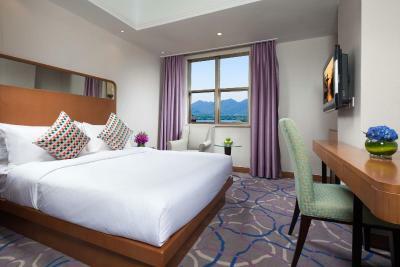 Please note that there is no capacity for an extra bed in this room type. 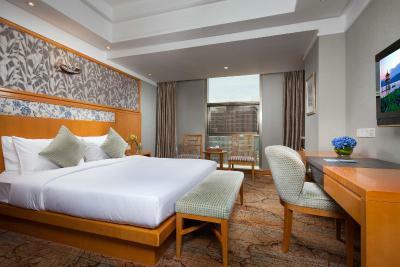 Soundproofed room features a seating area with a sofa, a mini-bar, a refrigerator and ironing facilities. Please note that room rate only includes 1 breakfast. Free Wi-Fi and cable internet are available. 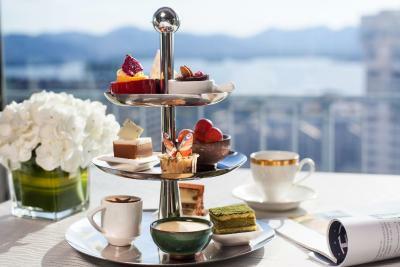 - Free afternoon tea at the executive lounge. 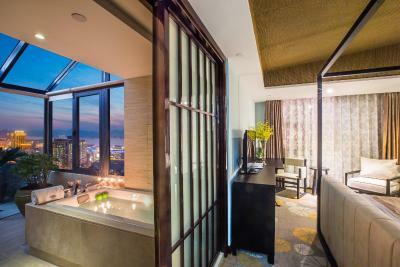 Soundproofed room features a hot tub, a mini-bar, a refrigerator and ironing facilities. Please note that room rate only includes 3 breakfast. Guests are entitled to enjoy free welcome fruit. 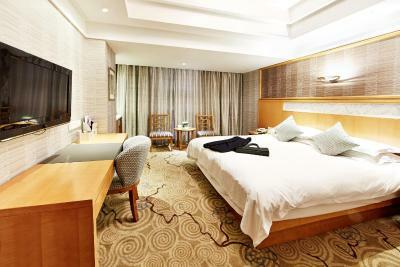 Soundproofed room features 2 single beds, a hot tub, a mini-bar, a refrigerator and ironing facilities. Please note that room rate only includes 1 breakfast. Free Wi-Fi and cable internet are available. 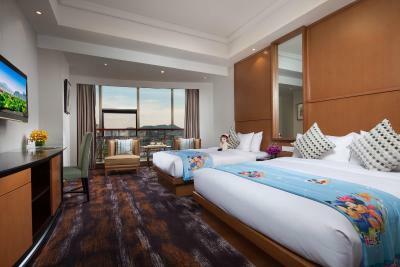 This twin room has a soundproofing, mini-bar and sofa. 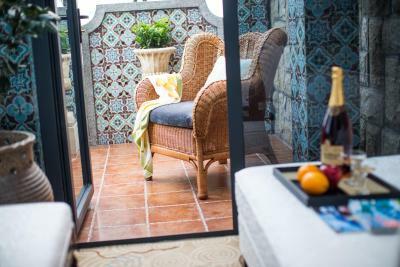 This double room features a soundproofing, bathrobe and mini-bar. This double room has a soundproofing, sofa and bathrobe. 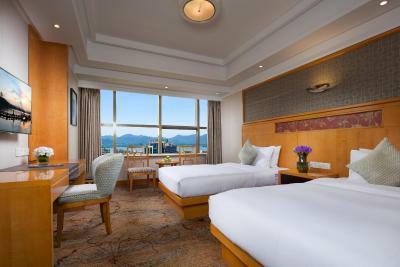 Very close to the famous West lake and train station, the airport shuttle bus reach the hotel directly and a subway entrance nearby; friendly service and confortable rooms will delight you. 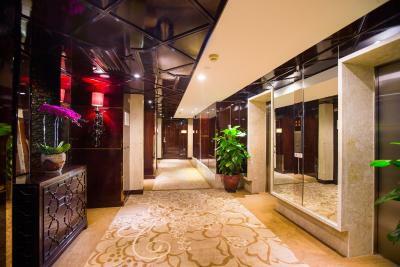 House Rules Huachen International Hotel takes special requests – add in the next step! 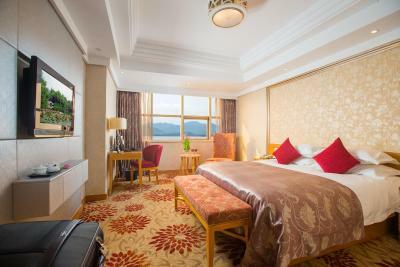 Huachen International Hotel accepts these cards and reserves the right to temporarily hold an amount prior to arrival. 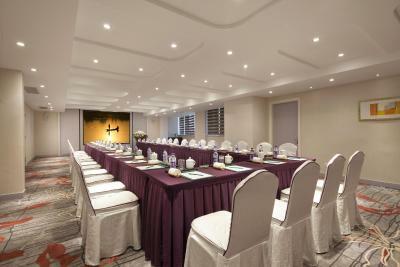 Please inform Huachen International Hotel in advance of your expected arrival time especially when you are arriving after 18:00. You can use the Special Requests box when booking, or contact the property directly with the contact details provided in your confirmation. Poor WiFi signal, external windows could do with a clean! Poor breakfast room service. 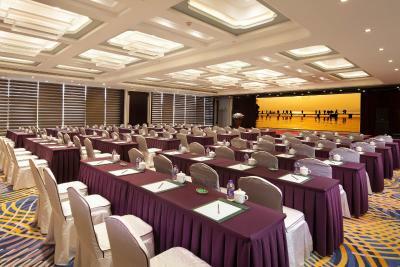 Excellent location - near to the West Lake, and easy public transportation nearby so making visiting tourist spots easy. 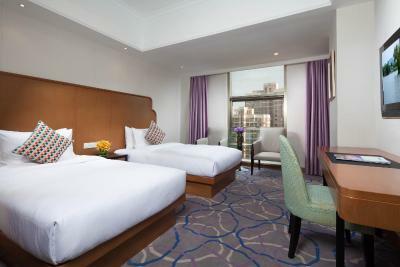 Spacious room with comfortable beds. 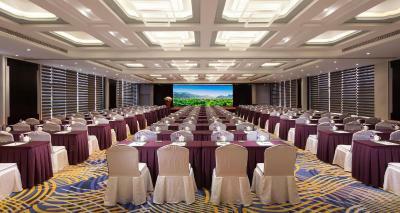 Location near the West Lake, especially the view from the 19th floor breakfast room. 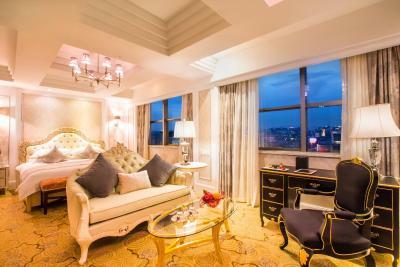 The hotel seems like ages, feels like it's time to renovate. Breakfast foods arrangement that needs to be set up logically. It’s 15-20 min far from the lake but it’s easy to walk to the main attractions. The hotel can’t help you much to rent a bike or give information about the area but you can ask for a detailed map of the city. 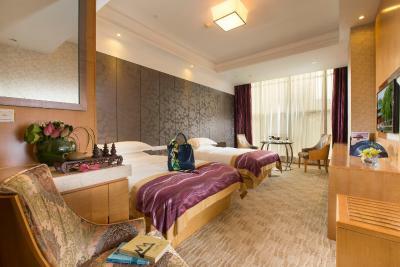 The rooms were nice and comfortable. Some staff were speaking English so it made our stay easier. 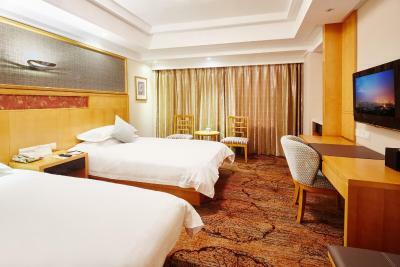 The hotel is located in a quiet and residential area. The staff didn’t speak English, which made communication a bit difficult. I also inquired about the light show a week before our arrival and was disappointed to find out that the hotel didn’t book tickets for us. The show was sold out on our only night in Hangzhou, so there was no chance for us to see it anymore. 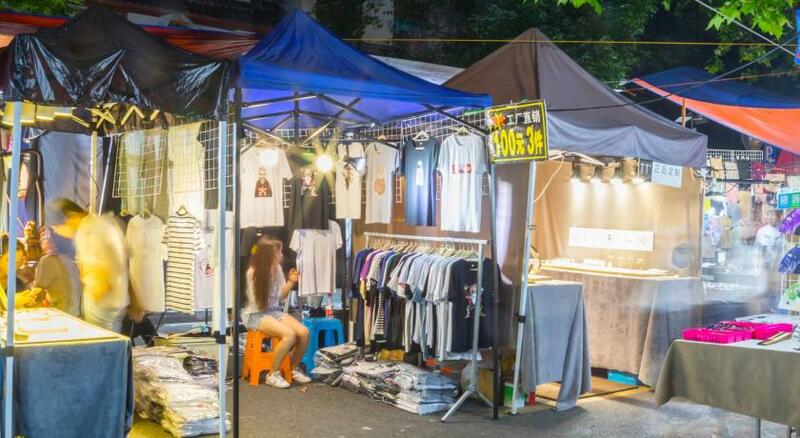 The location was close to the lake, very close to the Night Market and a short walk from the 'old city'. Our flight arrived at 2135. We reached hotel p10.30 pm but was charged full price. 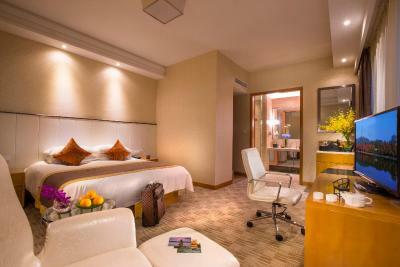 I could hv stayed at airport hotel costing less than 60% of the cost. Not worth paying so much for so less hour of stay. 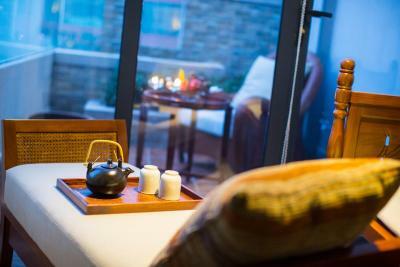 The massage of the hotel is not good, there are much better serious ones in the neighbourhood. The lobby doesn't have many places to sit down when waiting for a pick up. 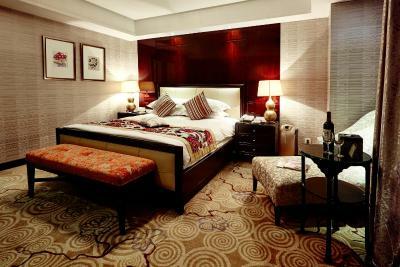 The bed is comfortable and the bathroom very modern. Everyting is clean and the people at the reception are very helpful.